Bruce Templeton was honoured last night at the Canadian Red Cross Humanitarian Awards, along with Ashlee Gosse, for his efforts to raise funds for Rotary Polio Plus. Over 150,000 vaccinations against polio have been afforded thanks to the proceeds raised through the sale of Templeton’s book The Man in the Red Suit (Creative Publishing) amongst other initiatives. Check out this clipping from The Telegram of Bruce at the gala event. Public readings and events coming up soon! 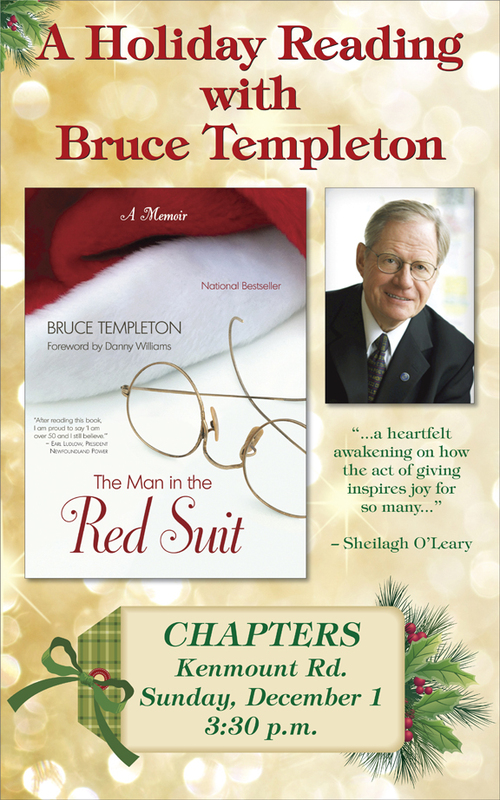 As the holiday season draws near, Bruce Templeton’s schedule gets busier – between his duties as Santa’s assistant, and sharing the stories of The Man in the Red Suit. There are a number of readings and events coming up, check out the Signings & Sightings pages for the full list of new events just recently added today. Here’s a poster for a family friendly reading happening soon at Chapters on Kenmount Road. 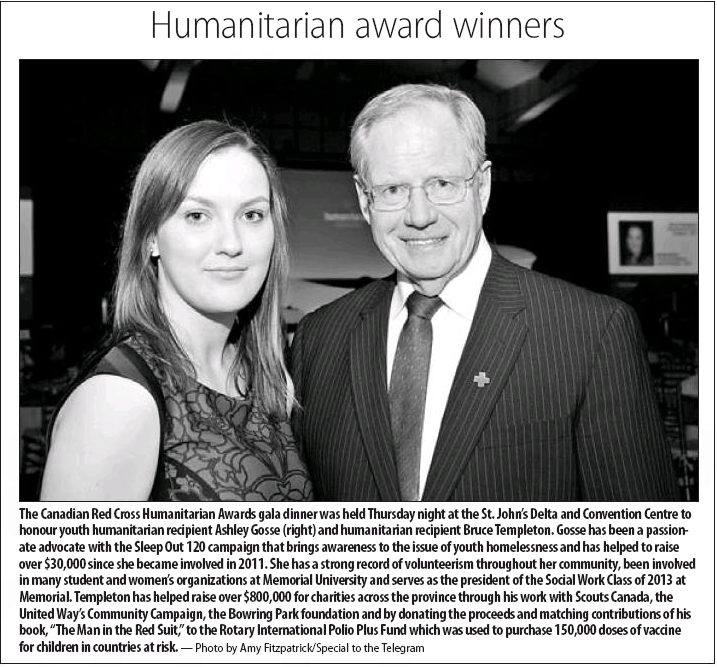 The Telegram has run an article about Bruce Templeton receiving the Canadian Red Cross Humanitarian Award in advance of the ceremony later this week. Take a look! Click above to visit the Media section and read the article.